What is the Beer of the Month Club, you ask? 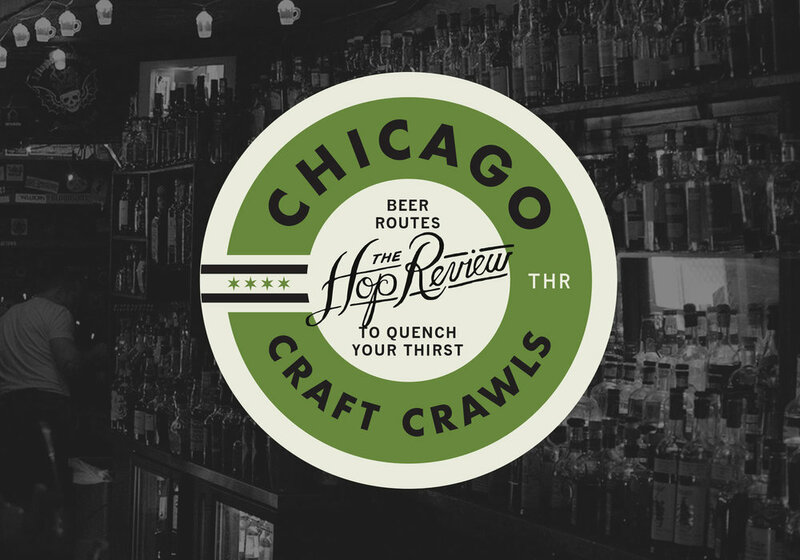 The Hop Review has partnered with Chicago's own Foxtrot Delivery Market, to bring a monthly, curated selection from some of our favorite breweries–and maybe a few that are new to you–right to your doorstep. The first week of each month, we'll handpick beers, highlighting a common theme, style or brewery and showcase the selections right here on the site. (See below for membership details). Visit the app to learn more, and be sure to purchase your subscription by Feb. 9 to receive this month's box. Cheers! We've handpicked 4 fantastic beers that showcase this impressively growing Bridgeport brewery, recently nominated as one of the country's "Best New Breweries" by USA Today. Ordering this month nets you one bottle of each beer below, which includes a special limited release pale wheat ale with mango. The entire package is available for just $35. This hazy wheat beer hits you with a juicy punch to the nose as soon as you crack the bottle. Strong notes of peach and tropical fruit, with just enough malt characteristic to balance the mosaic hops and Rooibos tea. It's a memorable brew, and likely one you will want to save all to yourself. This is the Jungle Boogie we already know and love, but with mangoes tossed in, to play up the already prevalent tropical notes in the beer. *This is the first time this beer is available anywhere. The soft fruit does not push it over the edge, but rather complements an already cohesive theme. The first in Marz's South Side Sour line–bright and lively the way a Berliner Weisse should be. Tart citrus, green apples, and a light funk, from their own strain of lactobacillus, combine to create a unique, light and refreshing brew. This is how Marz does the trending Gose style. Jammy, with notes of dark berries and sour cherries plus just enough citrus and coriander. Finished off with the addition of lime sea salt that adds the slick saline finish unique to any Gose. Foxtrot is a Chicago owned and operated delivery service offering food, craft beer, liquor, and a whole lot of other goods for your everyday needs. They also have two beautiful retail spaces located in the West Loop and Lincoln Park. For more information on Foxtrot and their delivery footprint, check out their FAQ page. – Each month, we'll curate a selection of amazing beers and bring them straight to your doorstep. As a reminder, if you purchased your subscription before the 2nd Tuesday of the month, you'll receive that month's box. If you purchased after, you'll receive your first box the next month. – You must be present for delivery* – all orders containing alcohol must be signed for by someone over the age of 21. Foxtrot will contact you via email the first week of each month to schedule delivery. (*Pickup options are available for those outside of the delivery radius). We can't wait to send you your first box! Please don't hesitate to reach out if you have any questions about your membership.